Man Patents Natural, Non-Toxic Pesticide That Could Destroy Monsanto and Many Other Agricultural Chemical Companies - ShareIt! 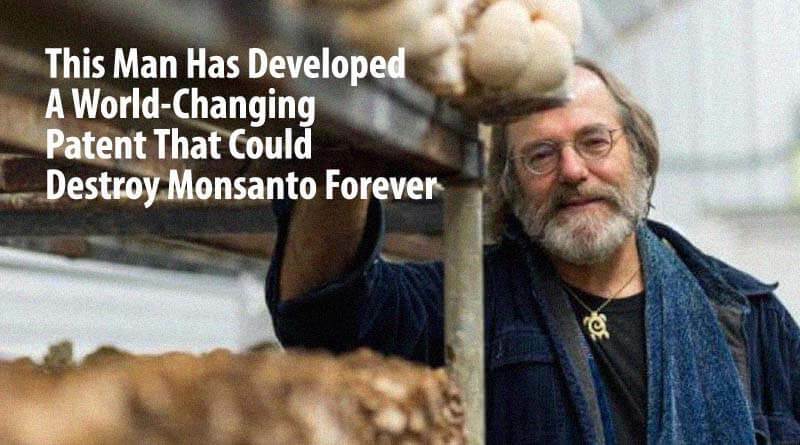 Fungi expert Paul Stamets has created a way of humanely destroying insects which feed off, and ruin crops. The number on insects that are actually damaging to crops is really tiny – only 1-5% of the world’s insect population, yet there are whole multi billion dollar industries created around killing them off. Agro-chemical firms Monsanto and Dow are two of the market leaders who’s profits would drop dramatically if farmers across the world stopped buying their chemical killers in favor of a more natural alternative. The spraying of pesticides has become so widespread in the last few decades and it is damaging the planet’s eco-systems in unimaginable ways. The mycologist has figured out how to use mother nature’s own creations to keep insects from destroying crops. It’s what is being called SMART pesticides. These pesticides provide safe & nearly permanent solution for controlling over 200,000 species of insects – and all thanks to the ‘magic’ of mushrooms. To tolerate the use of pesticides in modern agriculture is to deny evidence proving its detrimental effects against the environment. Such ignorance really can no longer be tolerated. For example, can you imagine a world without bees? Monsanto’s chemical concoctions which are being sprayed all over farmers’ fields around the world are attributed to the large-scale bee die off. While a growing number of countries are banning Monsanto, it’s still being used in in nations who should be aware of its dangers. To say that new methods need to be implemented before it is too late is an understatement.